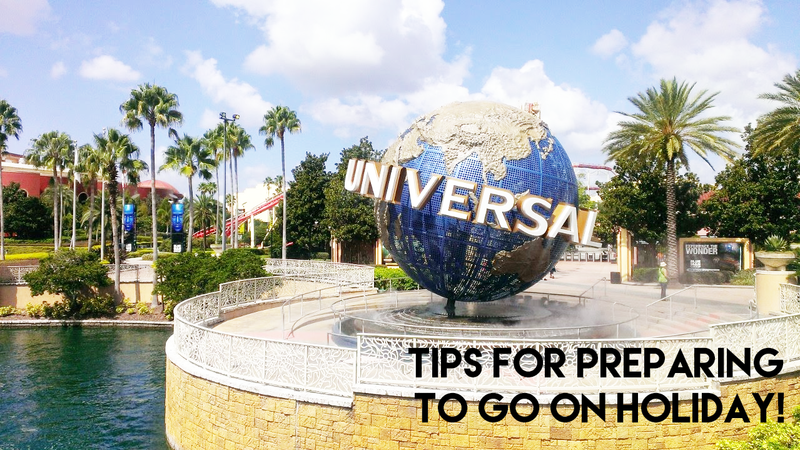 Tips For Preparing To Go On Holiday! Happy Friday all, I am finally able to say this and be happy about it being Friday as I am not actually at work tomorrow for once. Yay! Today I have decided to bring you some fabulous tips for when you're preparing to go on holiday. I did promise more travel related content this year and I am so far sticking to this. Some of the posts I've done so far are Best Budget Holidays and Luxury Holidays For Less! As the weather is getting warmer and we are now in the Spring I decided it would be the perfect time to bring you these tips! Let me know what other travel posts you want to see on my blog this year, as always feedback is greatly appreciated. 1. Find out how much hand luggage you're allowed. If you're only going away for a weekend, hand luggage may be all you need to take with you. With most airlines you have to pay extra to take a suitcase but most offer free hand luggage up to a certain weight. To save money and have extra funds for your holiday it's worth checking out. A lot of time burglaries can happen when people are on holiday, it's often worth getting someone to come and check on your house every few days and even installing cameras to watch the outside and even the inside of your house. A great one I've found for the indoors the Panasonic indoor camera. You are able to watch what is going on in your house even when you're not there. As well as getting alerts when something isn't quite right. Often when travelling people leave getting their money til the last minute, but often this isn't the best thing to do, when you're sorting out your travel money doing it in advance and online can get you better deals. Money Supermarket compares the best deals for travel money. If you're anything like me when you're on holiday your money doesn't last very long and you end up using your card whilst abroad. It is worth informing your bank of this so they don't block you from using your card abroad, often banks can treat this as suspicious if you don't inform them. When preparing to go on holiday it is worth checking all of your documents are in order before heading off as well as checking your passport is still in date a fair amount of time before you are due to jet off. Before going on holiday I like to print all of my documents and then keep them in a folder to make sure I have everything I could possibly need. What are your top tips for preparing to go on holiday? Hi guys, how are we all doing? I'm back with another 'What I've Been Lovin' Lately' post I have decided to make these a monthly feature as you guys seem to love them. I love these posts as they're kinda like a monthly favourites and I will feature anything I love. From new shoes to what's good on TV. 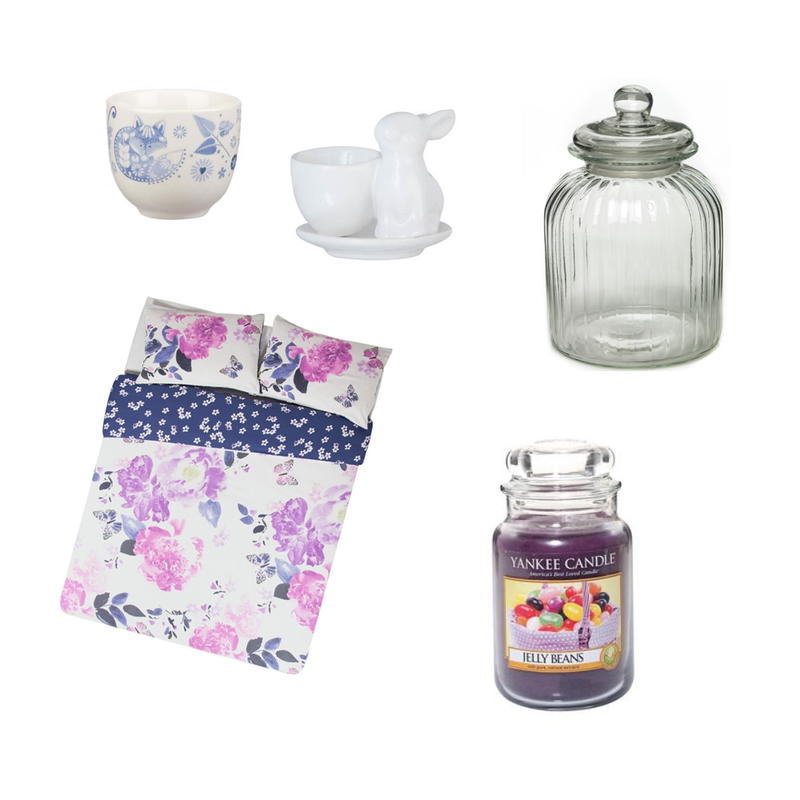 This month I've been redoing my bedroom so some of the items featured will be around the home! Let me know if you want these posts monthly, I always appreciate your feedback. Plus I just wanted to say a quick thank you for all of you who have stood by me when I've had my blogging breaks. Also if you fancy reading my latest What I've Been Lovin' you can here. 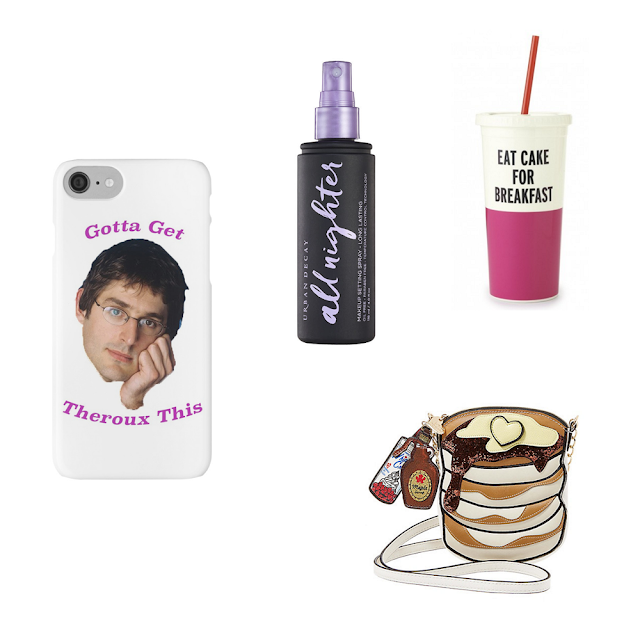 Final thing I've been loving, is the rise of Louis Theroux merch, for some reason over the last year it's just popped up everywhere, which I'm totally okay with. I recently got given one of the tees for my birthday and can't wait get more of them. Buzzfeed did an article on this here. The phone case feature is from RedBubble. Cox and Cox are an amazing online website with gorgeous items such as rugs, mirrors and sofas. Since I've started working on giving my bedroom a makeover this is the perfect place to treat myself. I recently ended up ruining my carpet and deciding a gorgeous big rug would help to cover this. I also treated myself to a new bed which was a NIGHTMARE to build. Recently Urban Decay has re-released their setting spray with a whole new look, the new bottles are bigger, bolder and generally look better. With the same amazing product inside, I love the setting spray for keeping my makeup in place throughout the day. If you fancy getting your own you can on the Urban Decay website. Since Rooi recently sent me a gorgeous tumbler (Alternative Link) (which is featured above) and some lovely stationery from Kate Spade I've found my obsession with her growing even stronger. I've wanted one of her bags for so long, and I am so in love with her stuff. I want to purchase even more of her goodies this year! This woman is my actual hero, she creates the craziest and fun bags I've ever seen. I first came across her amazing bags last year in the states, but found out they sell them in the UK in TKmaxx, she has so many unique and fun designs, I am in love. The bag pictured is the pancake one. It doesn't seem five minutes since we were all tucking into our Christmas dinners, but we're now a quarter of the way through 2017, which has already been an eventful year. March is known as the month of madness, and this year has been no exception. Today, I'm taking a look at some of the highlights of what has been an action-packed past few weeks. This month has played host to a number of new film releases, from independent flicks to big-budget Hollywood blockbusters. I am loving quite a few of the latter, from the dark intensity of Marvel's Logan, to the larger-than-life character of Kong in Skull Island. There's also the action-packed Ghost in the Shell, and for those who like nostalgia Saban's Power Rangers. Of course, let's not forget Disney's magical-looking live action version of Beauty and the Beast, starring Harry Potter veteran Emma Watson. While the box office might have been left a little crowded as a result of such a prosperous month, it's good news for us customers, with many, many movies to choose from to suit virtually every taste! Source: Nintendo Switch via Facebook. March also saw the launch of the latest video games console, as Nintendo released its Switch on the third of the month amidst widespread consumer hype. Although the Japanese gaming giant's previous console, the Wii U didn't manage to grab our attention for long enough, the Switch is interesting because it's the first hybrid home and portable console of its kind. It allows players to play the same game at home and effortlessly continue where they left off on the go! Which sounds great to me! This is an especially great feature for people, like me, who lack a little self-control and can't quit their favourite title. You can now stop putting off going out the front door because you can just take your game with you! With a stellar launch line-up including the always popular The Legend of Zelda: Breath of the Wild, the Switch looks to have a more promising future than Nintendo's last effort. While the £279.99 price tag might put you off, a study by Voucherbox suggests that Nintendo have a tendency for quickly reducing the price of their new consoles, so I may hold off until it maybe hits the £200 mark. While you can barely sneak a peek on Facebook these days without being flooded with countless viral videos, March saw the birth of a 44-second clip that is sure to remain enduring in the months and years to come; we'll still be looking back on the video at the end of the year with amusement and fondness. If you haven't seen the video in question yet, then where have you been? In this adorable clip, Professor Robert Kelly's attempt to be interviewed by BBC News about South Korea is interrupted by his children. This video has everything: it's both heartwarming and hilarious in equal measure, reminding you of either your own younger carefree days or those of your kids. It's also left may of us wishing we had the staggering confidence of the child the internet has dubbed "BBC girl"! I also heard some say that he probably didn't get up to help because he was naked from the waist down, but I think he was just in his pyjamas - not a good look for BBC News anyway. Source: Math Geek Mama via Pinterest. Did you celebrate Pi Day 2017? Whether you love maths or pie, March 14 is always a great day to celebrate both, and this year was no exception. While the day itself is supposed to be in recognition of the mathematical constant approximated to 3.14159, many choose to take the opportunity to celebrate the sweet treat that shares its name. I did, for sure. As I'm sure you'll agree, the mixing of two slightly niche interests leads to much more interesting results, with schools, offices and social groups around the world partaking in the tradition. If you missed Pi Day, however, don't worry: there are still plenty more fun themed days coming up this year: Talk Like a Pirate Day, anyone? So what do you think – what are your favourite March memories? Let me know in the comments below. 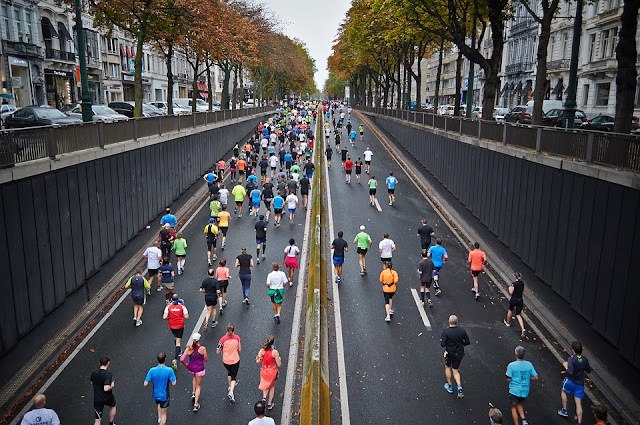 It’s hard to motivate yourself to train even when the weather is great so for those who are planning to begin training for a marathon in winter; you’ll need some tips on how to motivate yourself. Try to arrange to train with a running partner, so you have a date and time to stick to. A boot camp such as Prestige Boot Camp is one of the best ways to meet a support network of people who are all training toward the same goal. The key to dressing for winter training is to wear the right amount of layers that will keep you warm without sweating so much that you catch a chill. Go for layers that have zippers as these will allow you to vent air as you heat up. Days and nights tend to be darker in the winter, so it’s vital that you stay bright to be seen by motorists while you run. Wear reflective, fluorescent clothing or even wear a headlamp or carry a flashlight so that you know people will be aware of your presence on the roads or pavements. It doesn’t matter if you’re training indoors or outdoors, it’s important to get your blood flowing before you get into the full swing of things. Run up and down, do some jumping jacks or use a jump rope. This step comes after your run. As soon as you stop running, your core body temperature will drop and if you’re sweating this can cause a severe case of the chills. Change into warm, dry clothes as soon as you can. 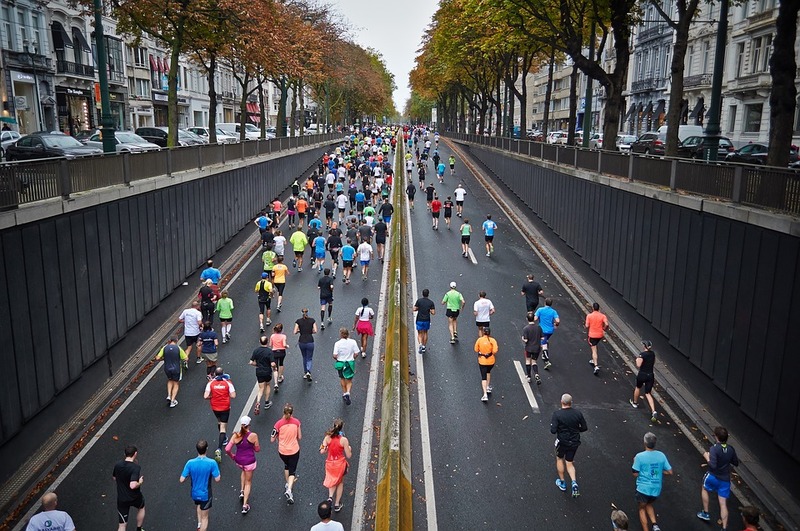 Even though the marathon that you’re training for will take place outside, don’t be afraid of using indoor equipment such as a treadmill to keep up with your training schedule. Train with pace with at least a one percent incline which will keep you on track with your interval training. If you’re training outside in the winter, there’s no doubt that you’ll have to deal with rain, wind and even snow. If you’re wet, you’ll start to get cold so staying dry should be one of your top priorities. On windy days, start your run into the wind and finish it with the wind at your back. This will mean you avoid the breeze after you’ve broken a sweat. Those who train in the winter have found that they usually need to fuel up more to get through the end of their workout. A well-fuelled run means that you’ll get a proper recovery. Back in February I decided to do something I've wanted to do for a long time but never had the guts do, dye all of my hair a bright colour! For around about 2 years now I've been bleaching the ends of my hair and going for the whole 'dip dye' effect, using a variety of bright colours for the ends but keeping the rest of it black. But I finally decided go the whole hog and dye my hair a bright colour. Firstly I went pink but quickly decided that wasn't the colour for me. It faded quickly and all of the different dyes I tried just washed out. I ended up putting dye on top of dye until it was a massive mess and I needed to strip my hair. When I stripped my hair I assumed it would go orange, so I bought red dyes and as a matter of fact it actually went green. I decided I had two choices, the first being black and the second being blue/green. I decided I would just take the plunge and go for blue. I've heard a lot of people on Twitter and my friends who dye their hair bright colours talk about the brand Colour Freedom so I decided to try them after having so many bad experiences with Live and also with Crazy Colour. The first application took REALLY well and considering I have thick long ish hair, one bottle almost covered the lot. I went back to Superdrug the following day and bought another bottle and the end result was mesmerising. 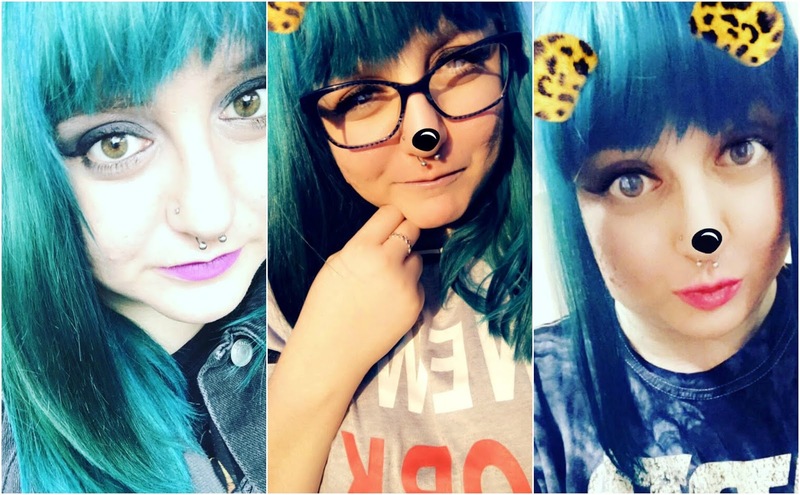 When I first did my hair it was quite a bright blue but has faded into a fabulous turquoise, although the up keep of bright hair is hard work I've found with Colour Freedom that the colour actually stays put for ages and looks amazing even after 30 washes. For the colour featured in the pictures buy Tropical Aqua. What's the brightest colour you've ever dyed your hair? 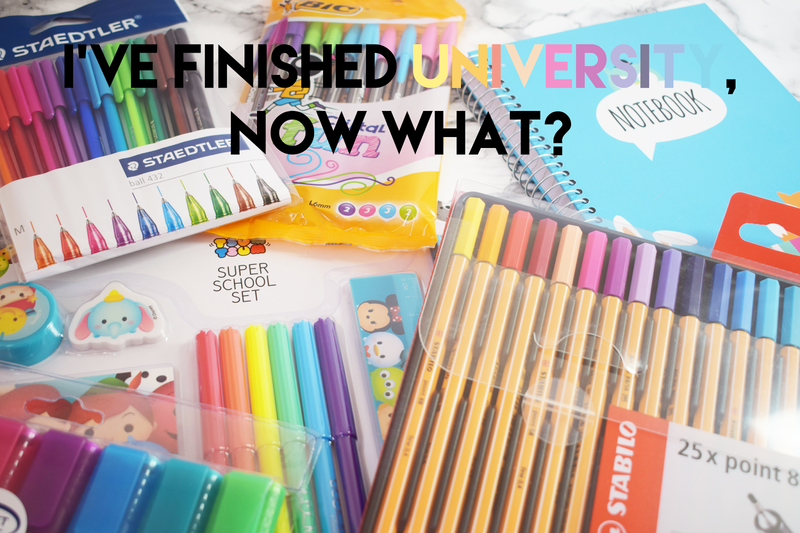 I've Finished Uni, Now What? Good morning all, how are we? I've finally found some motivation from somewhere, not quite sure where it's come from but I'm happy! I've got some really awesome blog post ideas lined up, which I can't wait to share with you all. So on to todays post, most of you might not know that I recently finished my degree, and I bet you're thinking like most, what a weird time to finish uni. Which you're right it is. When I started university back in 2013, I didn't actually want to go to university; so my tutor told me about a foundation degree which was 2 years and then I could later top it up to a full BSc. I didn't know what else to do, so I decided to go for it. In the end I had to see it through to a full degree as that's just me as a person. I received my grade and I actually managed to achieve a 2:2 which I was over the moon with considering I really struggled with my degree. It wasn't what I wanted to do, but like I said above I felt the need to see it through. Although a lot you don't graduate for a while now, I decided I would share with you some tips/ideas of what you can do when you finish university to prepare you for when you do. A lot of people decide this is what they will do after they finish university, after spending the majority of your life in education, it's nice to be able to be free before getting straight into a full time job. Obviously not everyone has this as an option. But if you save whilst at university or have a part time job to fund it, it works well. It's a great way to have some fun before settling down into bills, working full time and your future. When you first university and you've got your degree most people want to go straight to work in their field, but obviously there are a lot of students who are graduating in the same field as you. I would recommend getting some experience in that field as well as looking for jobs. With experience you are more desirable to the company and will be more suited to the role over other grads. Even if you take a whole year to get the experience it'll pay off. Most people get a part time job alongside doing experience or move back in with their family to be able to afford living whilst getting experience. Now this is the most obvious one out of lot. When you finish university, the most logical path for most is to jump straight into full time work. A lot of the time this isn't in the field of their degree but it's a job and gives you finical stability and something to do with your life. This is the one I am more than likely going to look down. 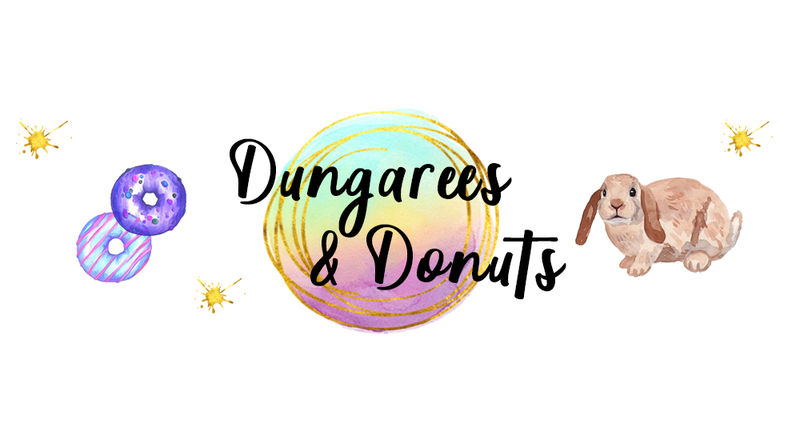 I decided when I finished university I would keep working part time as well as doing freelance blogging whilst I looked for a job which I can handle with my mental health. What did you do when you finished university? Making Your Home Spring Ready. The days are getting warmer and I am so excited as it's nearly Spring! Goodbye Winter for another year, yay! Spring and Summer are my favourite seasons of the year as I love all things colourful, happy and the warm (ish) weather (living in England, I can hope right?). With Spring on the way I decided I'd bring you a Spring homeware wishlist, followed by some Spring shop my style posts. Since living in my own house, I am obsessed with buying cute little homeware pieces and with it being Spring I've decided to create a wishlist of things which will makeover your house for Spring and on a budget too. Lionshome have some gorgeous pieces of Spring homeware from lots of different sites as they are an online shopping portal. The awesome thing about Lionshome is that you can find a variety of different items and then decide your favourites before going on to the webpage to purchase. Being able to search such a wide variety of sites at once makes it easier when looking for a certain item. Egg cups are the perfect way to make your kitchen more suited to the season, I love being able to change them throughout the year, they're a cheap and easy way to make a difference. Especially around spring as they are so dainty and cute. You can purchase the bunny one from Tesco and the fox one from Havens. Jars are an adorable way to make your house look prettier and you can customise them however you want. Pinterest has some awesome ideas to create your own pretty Spring jars. If you fancy looking at some ideas, you can do here. Bedding is another easy way to mix up your style for seasons, you can purchase a variety of different duvet covers which is perfect for being able to change your bedding quickly as well as using different ones to suit your moods. I love floral bedding around summer as they can brighten up a room as well as look gorgeous. Argos, Dunelm and The Range are all great places to pick up bedding from. The bedding pictured is from Argos. Candles are the perfect way to transition your house from Winter to Spring, picking the perfect floral and fruity scents instantly boosts your mood and as well giving your house that extra Spring feeling. Yankee candle have so many varieties and sizes of candles to decorate your house. Treating yourself to some new furniture can often give your home a whole new feel. Oak Furniture Company offer everything from beautiful bed side drawers to gorgeous storage boxes (perfect for us bloggers!) Often a little change in a room can make a massive difference, I know when I got my new bed it gave my room a whole new feel. How do you transition your house for seasons?